In this event the man, the saw and the wood conspire together to make a winner or loser. The man must be good, the saw must be filed exactly right. 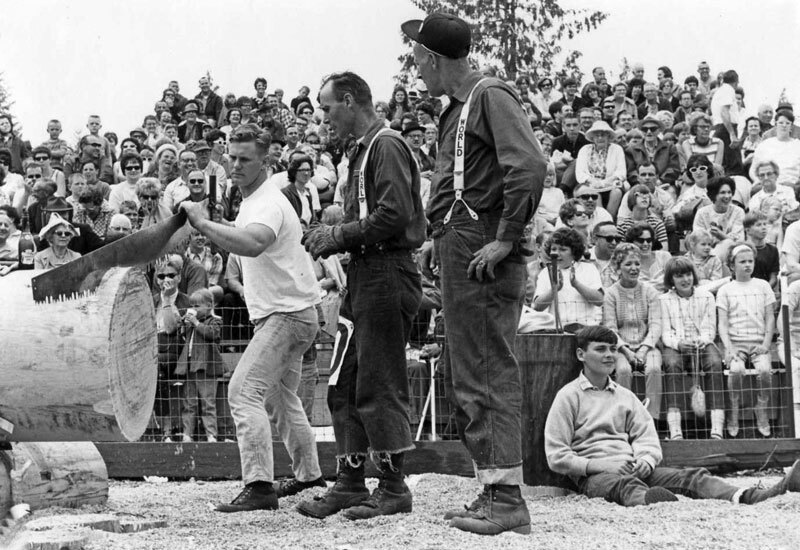 These men use a seven-foot bucking saw to cut a slice from the end of a log 26 inches in diameter. Time starts at the signal and stops when the block hits the ground. Each contestant may have a helper to oil his saw and put a wedge in the cut.